Move over Kylie, step aside Huda! Anusha Bawany chats with the latest makeup maestro in town. My primary and secondary schooling was in Islamabad. I then went on to do a BSc in Economics and Finance from Queen Mary University of London, after which I worked at KPMG London where I qualified as a Chartered Accountant. How long have you been into makeup? How did you get your start in the industry? I have enjoyed trying on makeup since as far as I can remember; I used to rummage through my mother’s makeup stash and experiment with it. One reason I decided to get into the industry was because I felt a gap in the market for good quality, affordable products. The other, because I genuinely love makeup! I’m not big on trends. Personally I love loose curls when it comes to hair, and clean hydrated skin when it comes to beauty. A comfy jumper, moisturizer and, of course, a Neeks lipcolour. What are some quick-tips or makeup secrets that you live by? Always take off your make up before you go to bed, and moisturize, moisturize, moisturize! Your debut collection of lip kits has a range of yummy shades – which one is your favourite? That question is honestly too difficult to answer. We have chosen each and every shade after so much research and consideration that I feel attached to all of them. How did you come up with the names for each? Some of the names were inspired by the colours themselves, while others we named after what they made us feel! My personal favourite is Toffee Kisses, and I noticed a sweet smell when I was putting it on. Tell us a little about the process behind designing and creating these signature shades. We did a lot of research on the perfect formula, which for us was one that was long lasting while not being too drying. To ensure that moisture, we added Jojoba Oil and Vitamin E Oil to our formula. The sweet smell is a slight vanilla scent we added for that something extra! I think it’s the nitty gritty details that really slow you down in the initial phase. What are the pros and cons of being a young female entrepreneur in Pakistan? It’s a little early to say. So far, I am really enjoying the opportunity and am overwhelmed by all the love and support around me. But, I must mention that I haven’t felt singled out or disadvantaged as a female and instead, have received utmost respect and appreciation from everyone, including buyers, sellers and vendors. My family and friends. They have really been there for me through it all! It really depends on where I’m going! It can be a quick 5 minutes or a very long hour and a half. Honestly, for us it has been the biggest advantage. We are only selling through an e-commerce platform and all our marketing is being done through social media. We have received a lot of love, and we are extremely grateful. If people compare your product to Kylie or Huda, what would you say? In what ways are they similar and what sets them apart? It would be extremely humbling and a great compliment if our product was to be compared to the likes of Huda or Kylie. 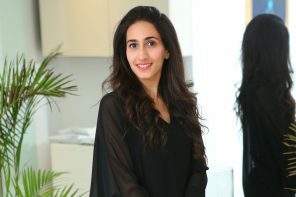 I personally really look up to Huda for being the innovate, self-made entrepreneur that she is. Similarities would be in the sense of the type of product that all three brands offer. However, you will notice that the texture of our product is completely different. I have forgotten what it was like to not be working! However, I am a home body, so the perfect day for me is relaxing at home with a cup of tea. 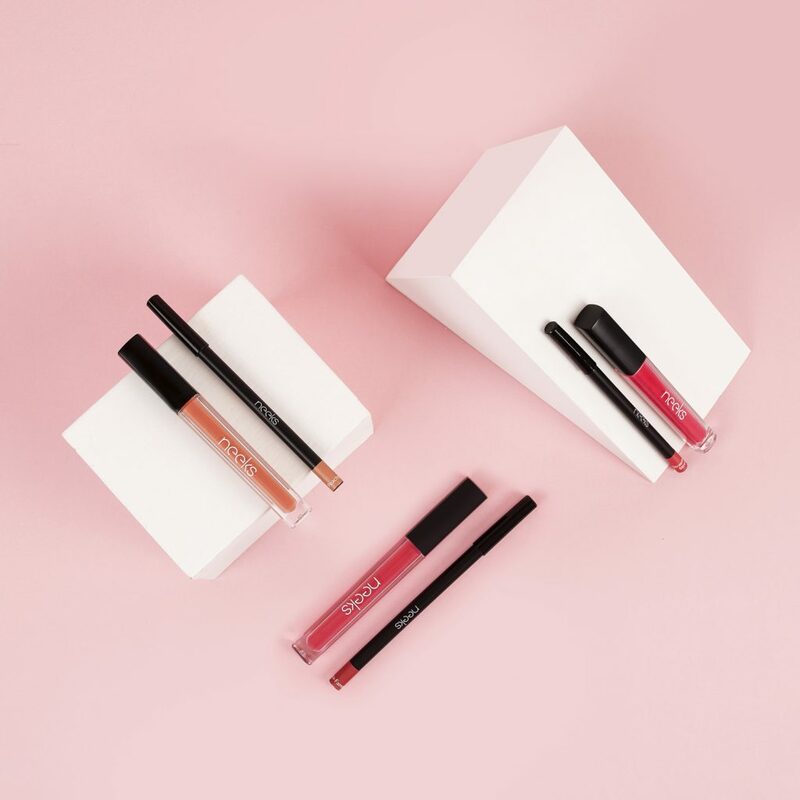 The lip kits are a massive success, and I can vouch on how amazing the product is! Can we expect to see a growing range of products from Neeks Cosmetics anytime soon? Thank you! To be very honest, we were not expecting such an overwhelmingly positive response so quickly. We’re all feeling very grateful and humbled and would love to see our brand diversify. That’s all I can give away for now hehe.